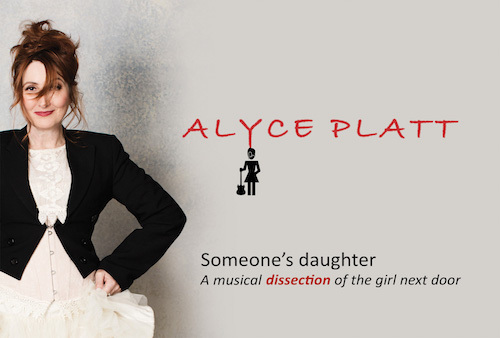 Someone's Daughter is Alyce Platt's exploration of the disquieting and electrifying side of one woman's shadow, her upside down. Unapologetically telling tales of growing up in the suburbs, the cowboys in the attic, being a TV star of the 80’s, getting caught shoplifting, wearing the wrong jacket to a party and the sailors who dance... Compelling originals blend seamlessly with the Psychedelic rock of The Velvet Underground to the haunting ballads of Patti Smith, Marianne Faithful, Portishead and Jaques Brel, unabashedly shining light on her dark side, tripping over obstacles of self-doubt and paranoia, bringing to life the curious and heightened imaginings of the girl next door and some of them might even be true.